Blaze presented us with 4 beautiful babies on Apr. 16th. 3 girls (1 red and 2 black) and a black boy. 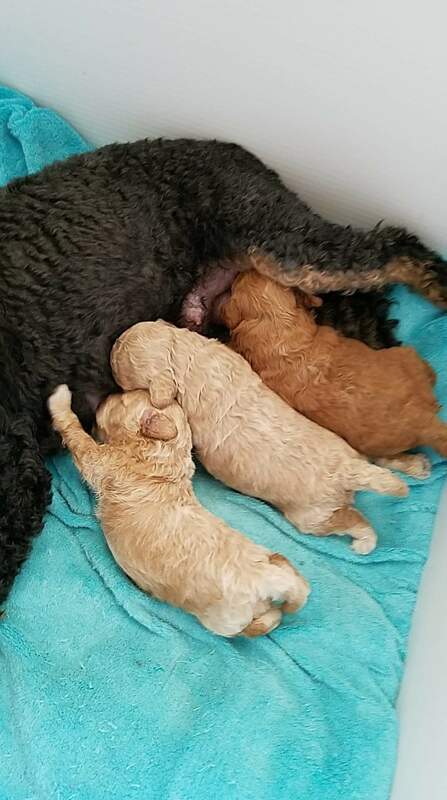 KEEP CHECKING NURSERY PAGE FOR AVAILABLE PUPPIES!